Discussions Magazine Music Blog: THE JAM/The Gift: Info on the Deluxe Edition and the Super Deluxe Edition! 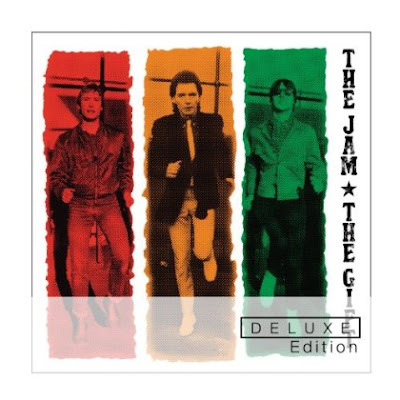 THE JAM/The Gift: Info on the Deluxe Edition and the Super Deluxe Edition! 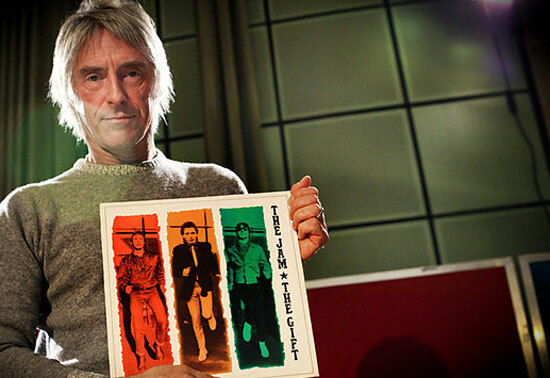 When The Jam announced their split in 1982, they were the most popular band in the UK. The news shocked the music industry because the band had continued to go from strength to strength and were finally beginning to make waves in the U.S. ("Town Called Malice" received more radio play than any other track in their catalog). The trio had outlived Punk, Mod and New Wave and were more successful than any of their contemporaries apart from The Clash, who had successfully cracked the U.S. market. The band's final album, released the same year as their split, was The Gift, a release that ditched the sometimes cold and clammy production of longtime knob-twiddler Vic Coppersmith-Heaven and replaced it with the more focused and spacious sounds of producer Peter Wilson. The Gift went on to become one of the band's most popular albums. It includes "Town Called Malice" as well as it's funky b-side "Precious" alongside "Happy Together", "Running On The Spot", "Ghosts" and other songs that are now considered Jam classics. 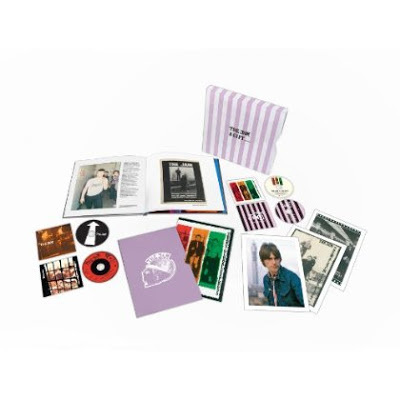 The two CD DELUXE edition of The Gift (pictured at the top of this page) includes the remastered version of the album plus 10 bonus non-album A and B-sides on Disc One. The second disc is made up of 15 remastered demos and alternate tracks, 13 of which are previously unreleased. The SUPER DELUXE box (pictured below) contains three CDs, a DVD, a hardback 72-page, full-color book including new interviews with Paul Weller, a new essay by John Harris and a forward by Paul Weller. a set of postcard prints and a replica 1982 tour program. Disc One and Two have the same content as the two CDs in the DELUXE edition. Disc Three contains Live At Wembley December 1982. The complete concert from the last ever Jam tour (previously unreleased), featuring 23 remastered tracks. The DVD includes promo clips ('Town Called Malice', 'Precious', 'The Bitterest Pill'), Trans-Global Unity Express tour live tracks from Birmingham show, Danish TV special (DR) The Gift album live in small studio with audience and Top Of The Pops performances of 'Town Called Malice' and 'Precious'.